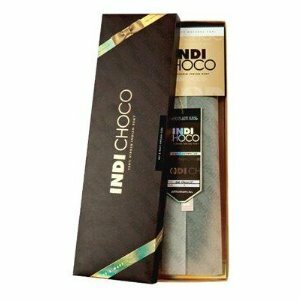 I first saw Indi Choco at my local beauty supply store when they started advertising a buy one get one special. Unfortunately, they only had solid colors so I went online to purchase my usual color mix. Out the pack: I prefer the hair I purchase to be a bit dull so that it looks more realistic and blends well with my real hair. 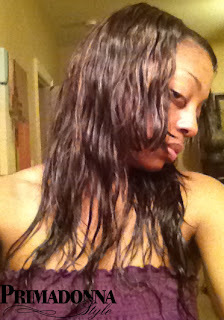 This hair was not overly shiny and comes straight, not wavy. One side of the track was darker with more "1B" showing and if flipped over the other side was lighter with more "30" showing. 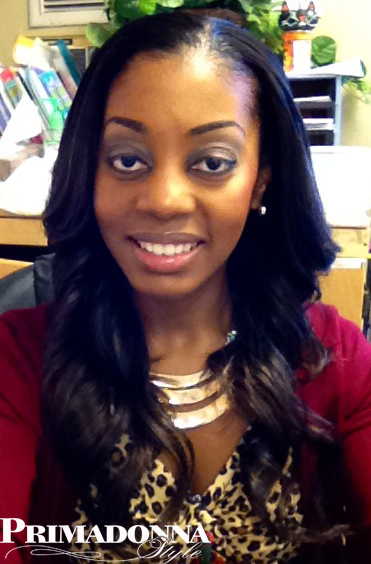 I had a sew-in weave with a horse shoe leave out but this time my stylist decided to cut the tracks when installing to insure that the dark side was always on top to blend better with my own dark hair. She used the full two packs. 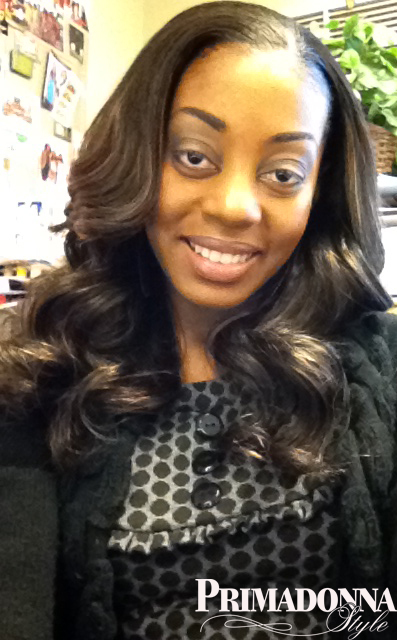 My styling method: I use a 1" barrel curler and finger comb for loose waves. At night I twist the hair into pig tails and put sponge rollers at the end. 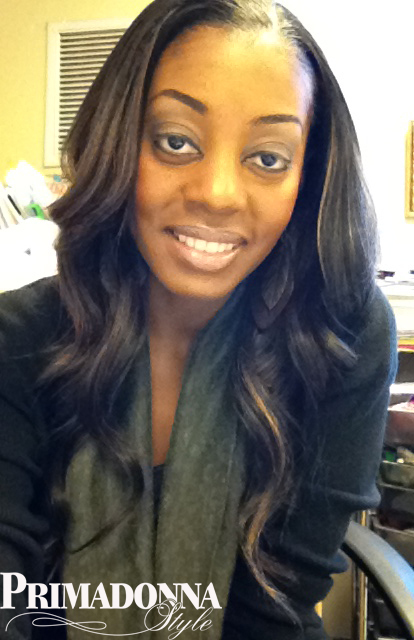 I tie my head with a scarf and put a satin cap over my entire head to cover the ends. Day 1 First Impressions: I already liked this hair. it blended well with my own hair and held a curl well. 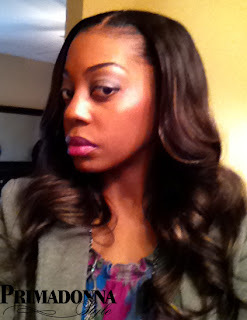 As I styled the hair in the following weeks I did not experience any shedding or tangling. Normally the longer lengths tangle at the nape but I did not experience this during the first few weeks with this brand of hair. First Wash: I was excited to wash this hair to see it's natural wave pattern. 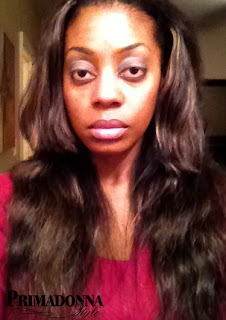 I used Suave Professionals Smoothing Keratin Infusion Shampoo and Conditioner. I wash hair in a soft downward motion being careful not to agitate the hair to reduce tangling. Though I am always careful about tangling during washing, I didn't have to worry; this hair did not tangle and was very soft during and after washing. The hair is not very wavy when wet. It has a slight subtle wave pattern, but not enough to make me want to wear it wavy. I allowed the hair to air dry. It was very bushy but still maintained the subtle wave pattern. I used my barrel curler to curl the hair into waves as I normally do. I did not bother to flat iron or blow it out prior to curling as I think the subtle wave looks adds to the way I style it. Indi Choco barrel curls after washing. This hair has remained soft though washing though it does tangle more at the nape now that it has gotten older. It has been easy to style and maintain and does not shed as much as other brands. By now I would have expected massive shedding, but it's still relatively thick even though it's almost time for my next install. 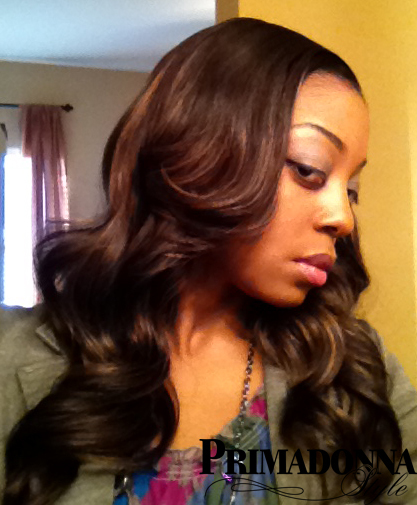 I will definitely purchase this hair again! It was suggested to me to try this brand and I'm glad I read your blog. That was the final nudge to go ahead and get it. Thanks!